It could go into production if there’s enough public interest! Despite the fact that the supercar market is reserved for the elite few that have the deepest pockets, the market itself is quite busy these days. Just recently, we’ve laid eyes on the Lamborghini Huracán Performante, the anniversary themed Zenvo TS-1 GT, a pair of special Koenigsegg Regeras, and even the Pininfarina Fittipaldi EF7. But, this year’s Geneva Auto Show wasn’t all about the Lambos and Koenigseggs of the world. Nope, hidden right there in plain sight was the Van Electrics Dendrobium – the first supercar to ever come out of Singapore. So, a brand you’ve probably never heard of, from a place that isn’t exactly known for amazing cars, might sound a little sketchy. But, don’t worry about that, this supercar has all the right credentials, and is ready to prove to the world than an all-electric supercar is more than the subject of someone’s twisted dreams and augmented reality. Between the car’s exterior design, exquisite interior, and a promised performance list that includes a 2.7-second sprint to 60 mph and a top speed of more than 200 mph. 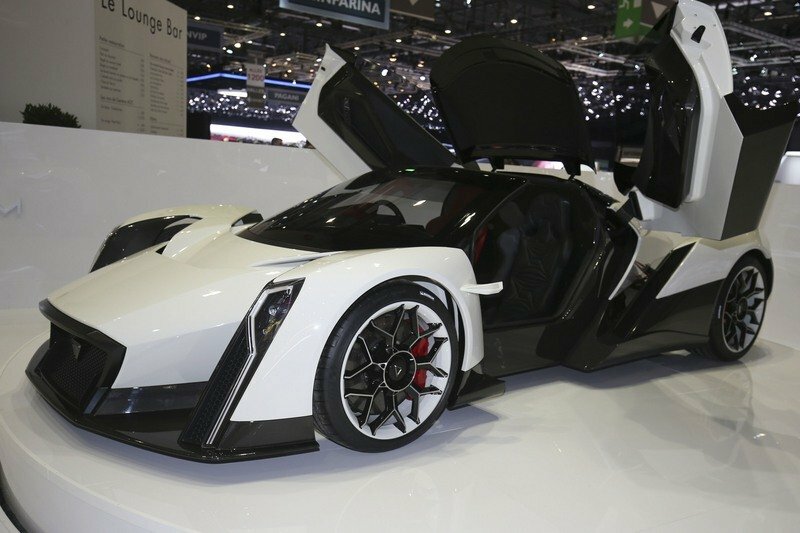 Those are some pretty bold targets for a brand like Vanda to aim for, but should the brand see enough public interest at Geneva; it’s going to consider pushing the Dendrobium into production. But, before that happens, let’s talk a little more about the specifics. First, let’s talk a little about the menacing looks of the Dendrobium. It features a composite monocoque chassis, carbon fiber body panels, and lightweight alloy wheels that measure 20 inches in the front and 21 inches in the rear and wrapped in Michelin high-performance tires. The exterior design itself is actually quite stunning but actually looks like someone took the body of a smaller car and sat it down on a platform with wheels and suspension. The nose is angled downward at the same angle as the windshield while the gaps between the nose and the fenders expose the front wishbone suspension. The headlights are tall, and feature and LED strip that looks almost like a question mark. The simple but well-defined lines of the body continue across the side profile, where the lower platform of the vehicle extends outward to provide the rear fenders and the basis for the rear end. The center body in the rear comes to a triangular point that is filled with a number of hexagonal, red LEDs. The rear fenders are linked together by a large, red RED strip that serves as the brake lights and taillights. There’s a double diffuser down below, but that’s not the coolest part about the car. The coolest part is that the doors and roof open up automatically – the roof lifts up from the front while the doors swing up and rearward, making the cabin insanely easy to access. The exterior design itself is actually quite stunning but actually looks like someone took the body of a smaller car and sat it down on a platform with wheels and suspension. Inside, it’s the same story, but with a much different twist. There are loads of exposed carbon fiber everywhere, including the dash, steering wheels, seats (under the leather,) and even the center console. It’s basically, a hybrid between a true race car and a road car, with three digital displays ahead of the steering wheel angled perfectly for the driver and a host of buttons on the center stack. But, at the same time, there’s also an HVAC system as shown by the hexagonal vents on the dash. 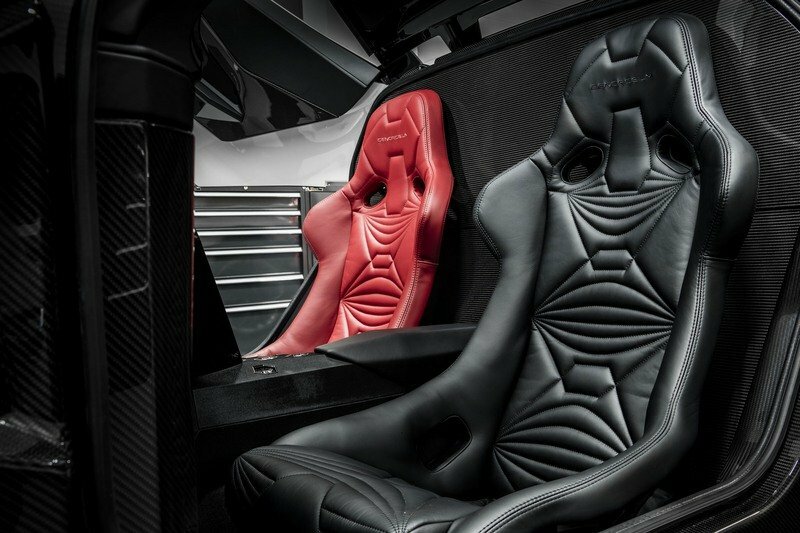 The two interior seats contrast each other with black and red, while the design of the seats themselves offer tons of support with a thick layer of perfectly stitched leather to keep the bum comfy. 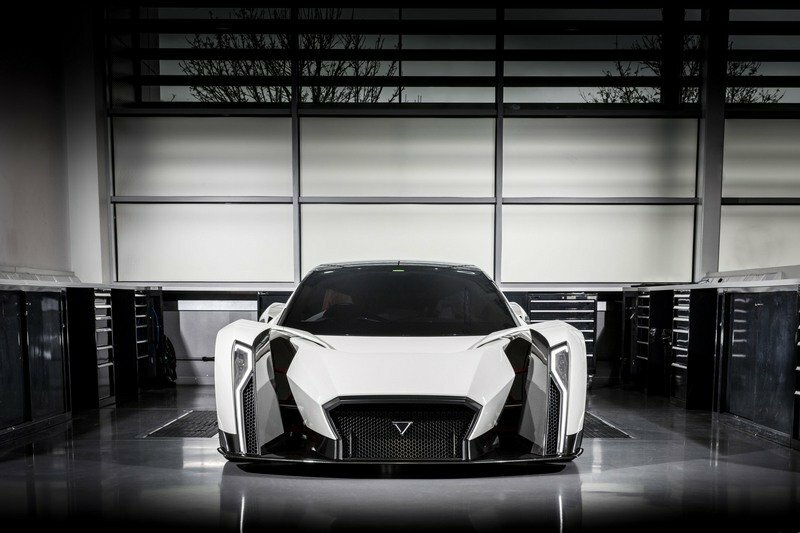 Right now, the car is still strictly a concept, so there isn’t necessarily a working drivetrain, but Vanda is shooting for performance figures that equal a 2.7-second sprint to 60 mph and a top speed of more than 200 mph. 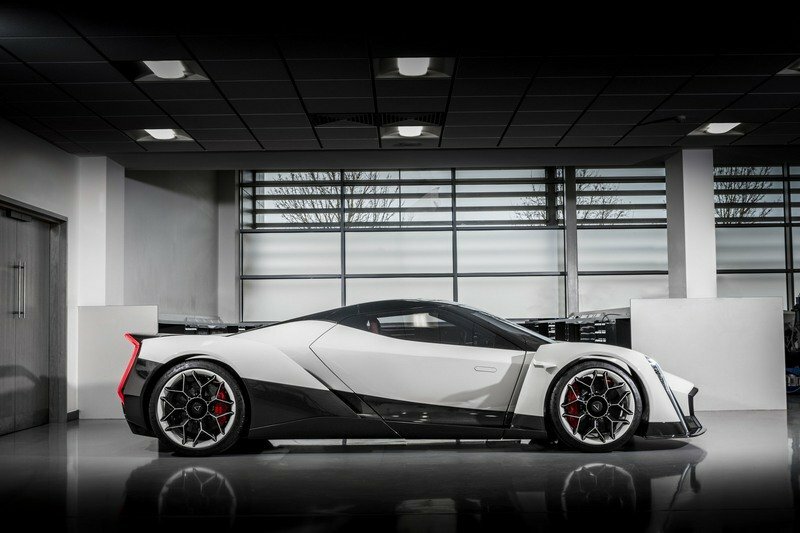 But, how Vanda is going to pull this off from an all-electric drivetrain, is going something to see. Should the car go into production, it would have four electric motors – two per axle – with a single-speed gearbox, a multi-speed gearbox, and a differential in the front and rear. Inside, there are loads of exposed carbon fiber everywhere, including the dash, steering wheels, seats (under the leather,) and even the center console. Where the brand will stash the battery, how big it will be, or any other specifics. The chances are that the battery pack will be integrated into the floor or the front nose, perhaps, but if the car is going to be successful as a production model, it will need enough capacity for a decent range, even when exercising the use of all the power created by those electric motors. And, there you have it. Will the first supercar out of Singapore actually make its way into production and eventually onto the street? Only time will tell, but I sure hope we’ll see a production model in the near future. What do you think? Let us know in the comments section below. Specializing in battery technology, research, innovation and design, Vanda Electrics is one of Singapore’s leading e-mobility companies. Its revolutionary strategy is to develop a range of global electric products that capitalize on the trend towards zero emission mobility and focus on three key segments: luxury, consumer and industrial. With the launch of a fast-charging zero emission electric light commercial vehicle (http://vandaelectrics.com/pro-anttruck/) and electric mini scooter (http://motochimp.com) taking place later this year, the company has chosen the 2017 Geneva Motor Show to unveil its most exciting model yet, a high performance halo product that will sit in the luxury sector. 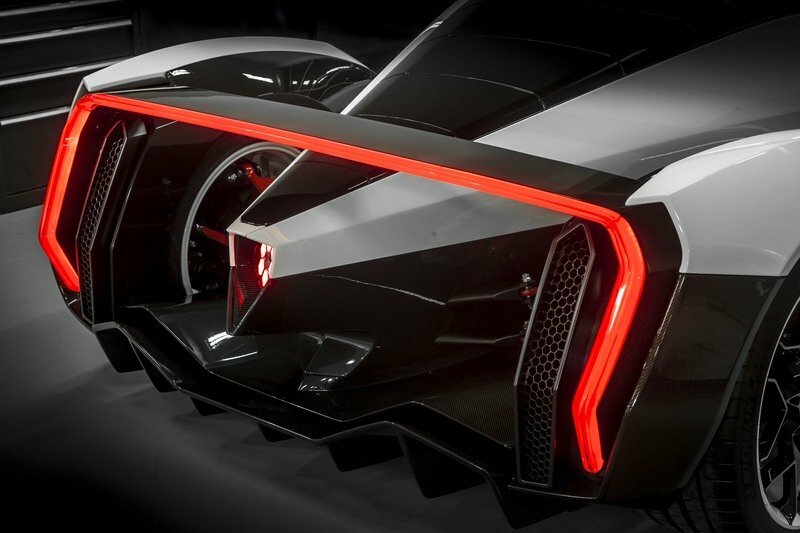 A project that has resided within the design team for many years, Dendrobium is finally being realised thanks to the rapid advancements in electrification technology, which allows headturning styling to be combined with high performance, compact e-powertrains. 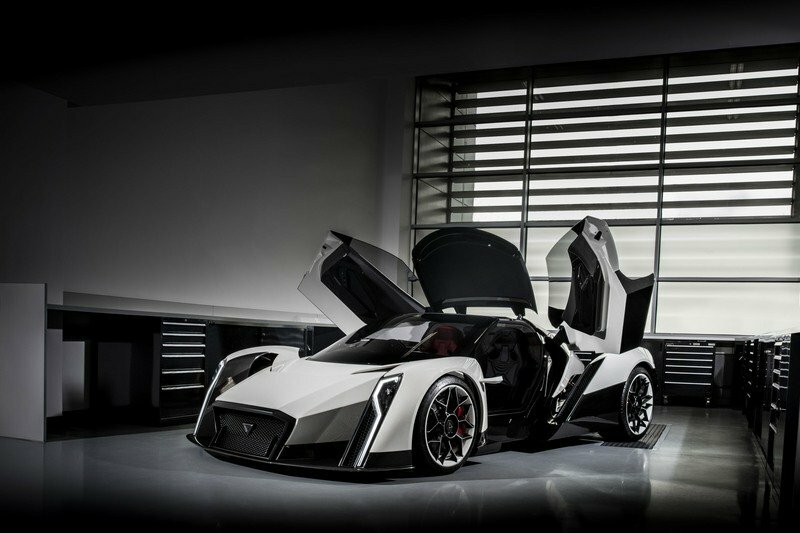 Vanda Electrics has also engaged a small number of key partners to develop the Dendrobium concept car. Technical partner is Williams Advanced Engineering, the technology and engineering services division of the Williams Group. The division specialises in a number of core areas that are highly relevant to Dendrobium, including aerodynamics, lightweight structures, vehicle integration and, of course, electrification. Williams Advanced Engineering has taken the project from the design stage to dynamic concept car. This unique feature is not just for show either - it also improves access to the cockpit, making ingress and egress easier than other hypercars. The tear drop shape that forms around the cockpit and ends in the tail - where the plug-in port is located, just behind a panel above the charging light, which shows the status of the car’s battery - is a design feature that has remained a key part of Dendrobium from the initial sketches. Other highlights of Dendrobium’s exterior are the aerodynamic floor, rear double diffuser and front splitter. At the back, the rear light bar elegantly floats over the tail of the car, and throughout the design there is pure, motorsport-inspired functionality, such as the exposed double wishbone front and rear suspension. That motorsport theme is continued in the materials used. 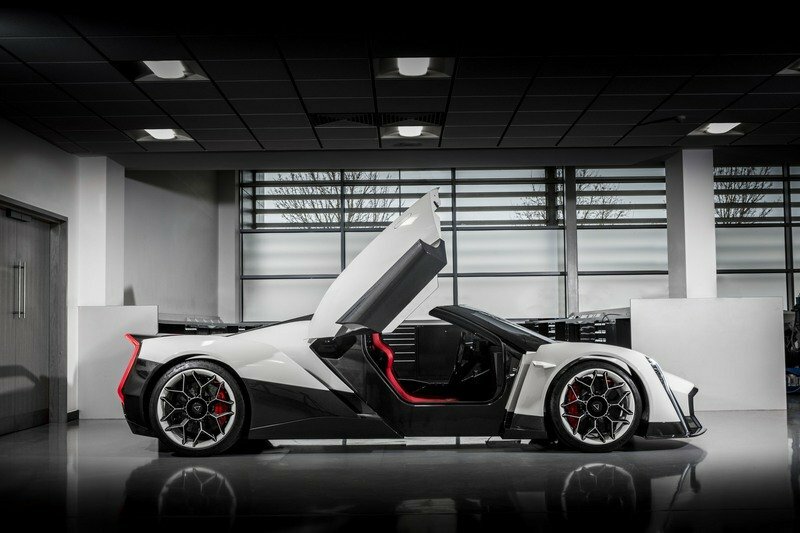 In order to meet its target weight of 1,750kg, Dendrobium features a composite monocoque chassis, carbonfibre body panels, carbon ceramic brake discs and lightweight alloy calipers inside 20-inch front and 21-inch rear alloy wheels, wrapped in Michelin high performance tyres. Carbonfibre is also used extensively in the interior, fitting with Dendrobium’s minimalist but functional design brief. Step inside and it is immediately obvious that the driver is the absolute centre of attention. He or she enjoys a bright red body-hugging sports seat - which contrasts dramatically with the predominately black interior. Both driver and passenger seats feature stitching and motifs inspired by muscle fibres. 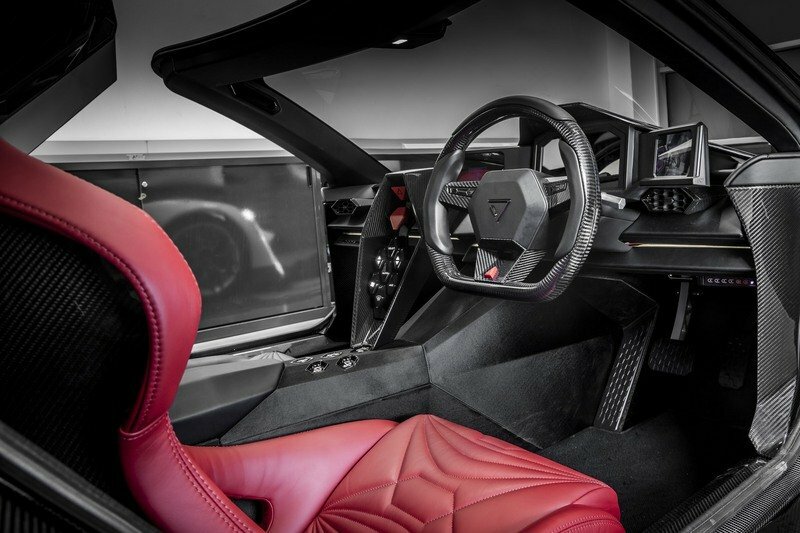 The interior of the Dendrobium concept has been trimmed using leather from Scotland’s Bridge of Weir Leather Company, which sources the best hides from the best heritage breeds and has adopted the very latest technology. The result is the lowest carbon tannery and leather product in the world - the perfect material for a zero emission halo model. Sitting in the driver’s eye line is a digital dashboard flanked by two rear-view displays, which take feeds from wing-mounted cameras. All of the dashboard buttons are hexagon-shaped: a recurring design theme throughout Dendrobium, replicated in the air vents, front grille and headlight bezels. 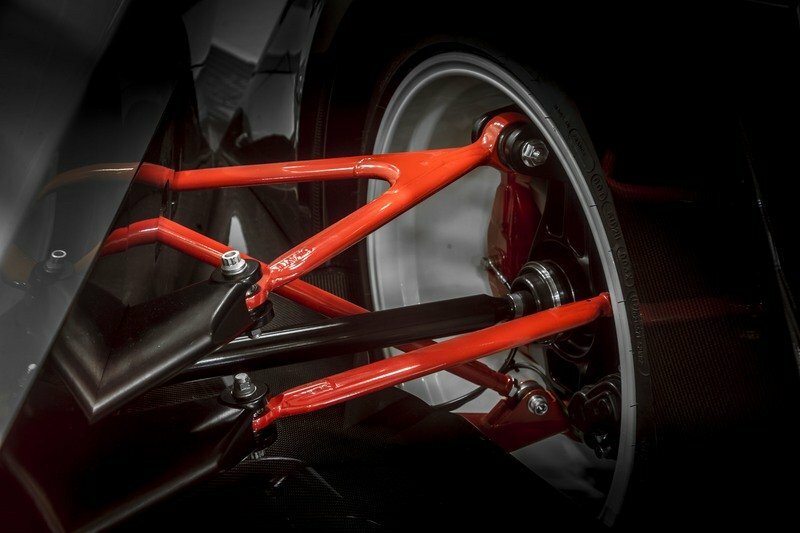 The Grove-based organization is an electrification world-leader; it is currently the sole battery supplier to Formula E and an electric motor and e-powertrain integration expert thanks to its pioneering F1-bred hybrid systems and its key role in the rapid development of the Jaguar C-X75 supercar. Should Dendrobium go into production, a layout featuring two inboard-mounted electric motors per axle, with a single-speed gearbox and differential at the front and a multi-speed gearbox and differential at the rear, is envisaged. If Vanda Electrics receives enough positive interest at the Geneva Motor Show, the first model is expected to hit the road by 2020. Larissa Tan, Vanda Electrics CEO said: "Dendrobium is the culmination of a dream. Our design team has had sketches of an electric hypercar on the drawing board since the mid-90s, but that vision was many years ahead of its time. As electric technology has advanced, we have been able to revisit this vision and now, as we launch our revolutionary global e-mobility strategy, the timing is finally right for us to take the wraps off a halo model. 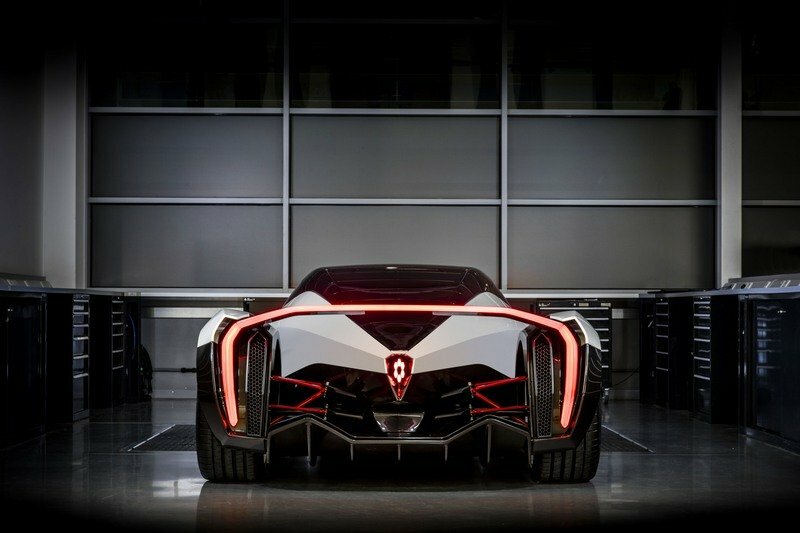 "Dendrobium is our interpretation and expression of what pushes the boundaries in the development of an electric performance car. We have engaged some expert partners to help us achieve this such as Williams Advanced Engineering. With its skills in electrification, aerodynamics, lightweight structures, vehicle dynamics and integration - and even lowvolume build - we could not think of a more appropriate partner. 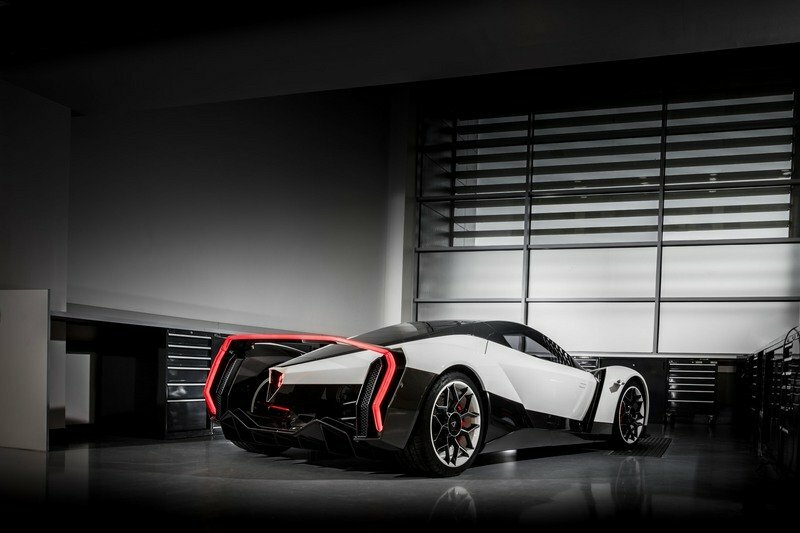 "We are looking forward to seeing the world’s reaction to Dendrobium. This electric hypercar may just be a concept for now, but we have every intention of putting it into production. It sits at the top of our range and the production version will be a fitting showcase for the best in design and e-technology."